The Kings of Con will live on… it’s just a matter of where. The digital series, from Supernatural‘s Richard Speight Jr. and Rob Benedict, follows fictionalized versions of the actors as they travel to various fan conventions and experience what it’s like to be rock stars in the convention world… and normal people in the real world. In the show’s first season, which streamed on Comic-Con HQ, several Supernatural stars stopped in, including Misha Collins, Kim Rhodes, Matt Cohen, Jensen Ackles, and Jared Padalecki. Along the way, the show gained a faithful following within the SPN Family. And that’s why Speight and Benedict are already working on season 2, even though it’s yet to find a home. I’ve added more scans from “ABC Soaps In Depth” Magazine to the gallery. I’ve re-uploaded screencaps from “Supernatural” Season 4 Episode 3: In the Beginning in HD quality. Ryan is following in his father’s footsteps by becoming a top agent for the FBI. 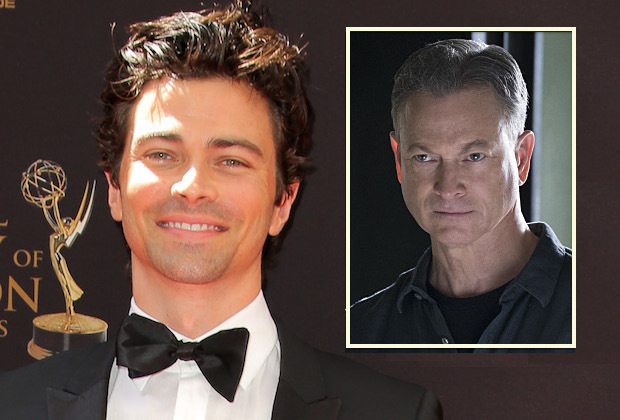 Cohen — who currently stars on General Hospital — makes his debut in the season premiere, airing midseason. Additionally, Beyond Borders has tapped a trio of Supernatural alums to guest-star: Osric Chau (Supernatural‘s Kevin) plays a mysterious figure in Singapore known as “Gui,” which translates to “Ghost,” in Episode 3, while Rob Benedict (Chuck/God) and Richard Speight Jr. (Gabriel) appear in Episode 5 as life-long friends and budding American entrepreneurs who go to Bangladesh to close a deal for their new clothing company. I’ve uploaded scans from several issues of ABC Soaps In Depth Magazine. Matt attended the Disney ABC TCA Summer Press Tour 2016 at The Beverly Hilton Hotel in Los Angeles yesterday. I’ve uploaded 4 HQ photos to the gallery. I’ve uploaded 10 HQ photos of Matt attending 2016 Daytime Emmy Awards last month.